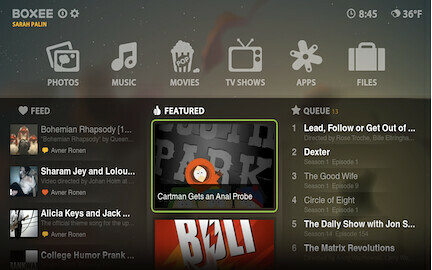 Tonight Boxee used their “Boxee Event” to show off a new beta version of their HTPC software as well as their new Boxee Box, made with hardware partner D-Link. 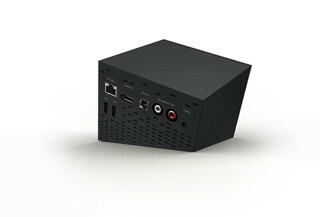 The new Boxee-branded Box will be the D-Link DSM-380 and is expected to run about $200. It will be on display at CES and plans are for it to be available for sale sometime in the first half of 2010. 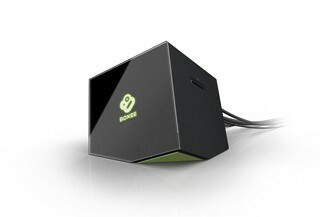 The Boxee Box will serve up media from the home and internet and deliver it to the TV without needing a computer at the TV. 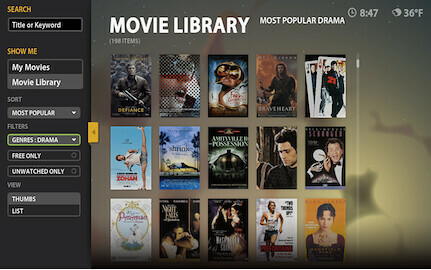 They announced the new Boxee beta which is slated to open to the public on January 7th and will gradually be released via invitations to early access users. The new UI will get most of the talk at first, but the addition of DXVA seems like a significant improvement for Boxee – it lets your CPU take advantage of DXVA and play 1080p without taxing the CPU. The global menu provides access to the Settings (TOP – Logout, Settings, Queue, Feed, History), the main menu (MIDDLE – Photos, Music, Movies, Home, TV Shows, Apps, Files) and shortcuts (BOTTOM) favorite Apps, TV Shows, Movies, or folders. 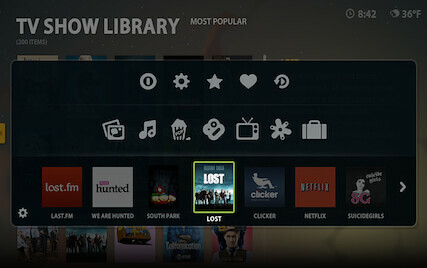 I see a TV Show library, but I’m still looking for the tuner functionality where you actually record TV. 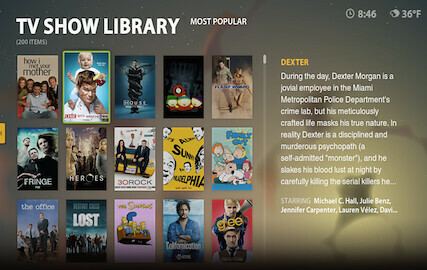 That’s a major missing feature from Boxee in my book although it does have a library page to organize archived TV shows by season and episode.